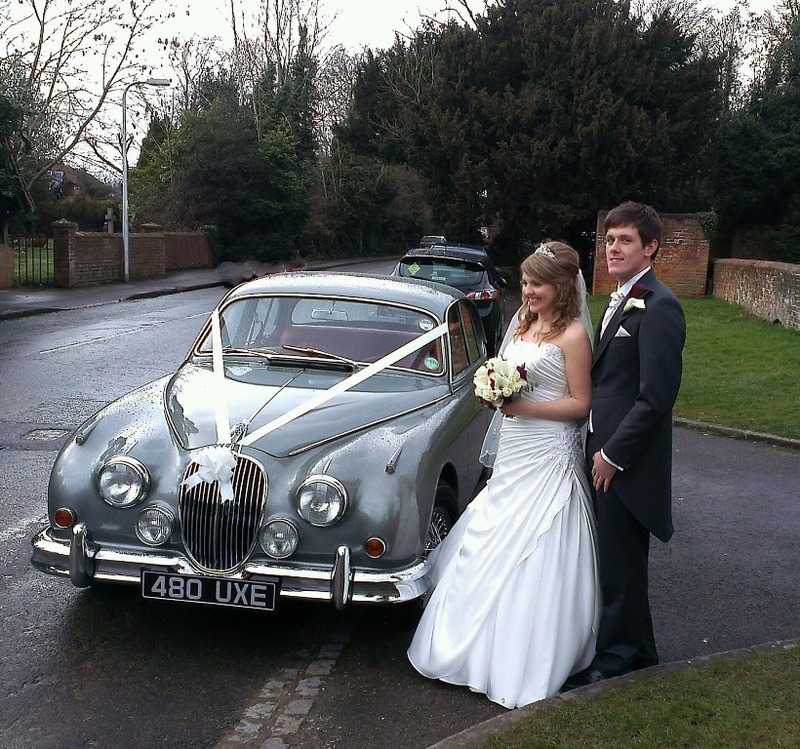 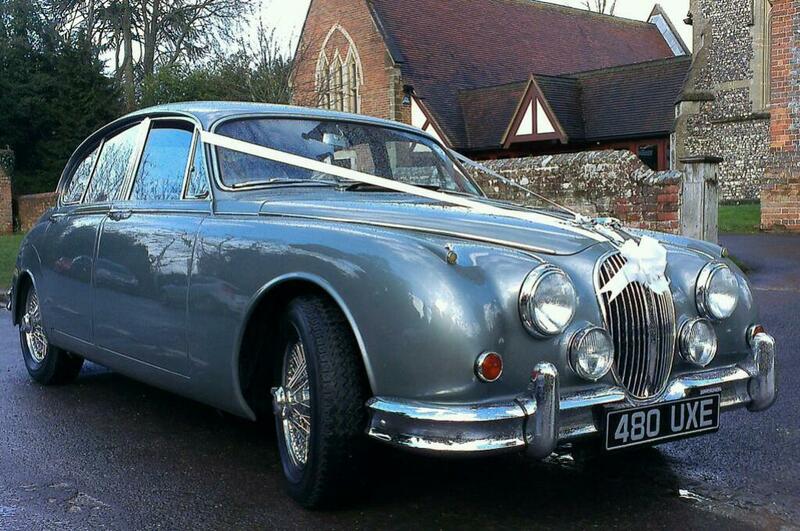 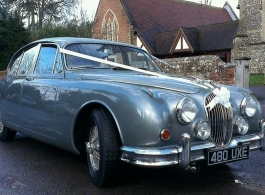 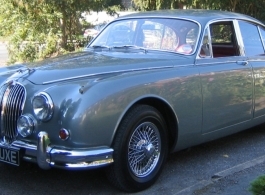 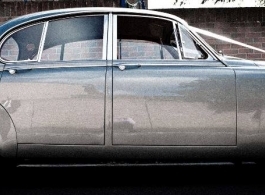 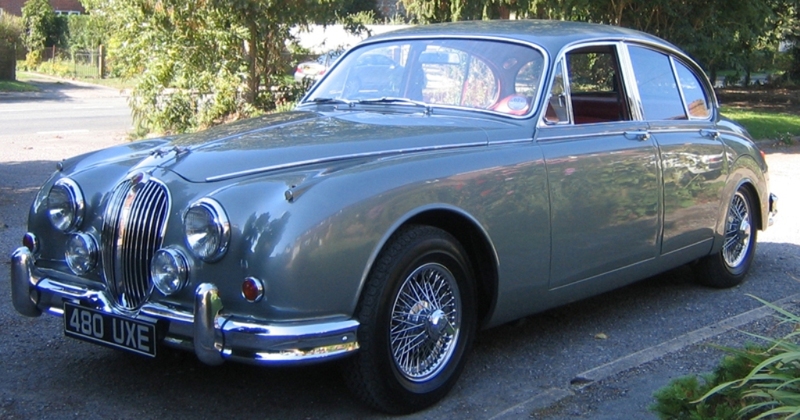 This classic 1960s Jaguar wedding car is a beautiful choice of wedding transport for the Bride, Groom, Best Man, Father of the Bride and even Bridesmaids. 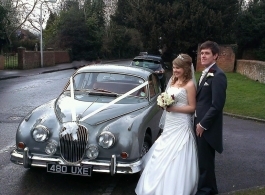 The lavish and immaculate Red leather interior really is a great contrasting colour to a traditional White wedding dress. 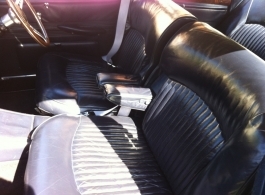 3 passengers can be seated comfortably, 4 with a little bit of a squeeze!